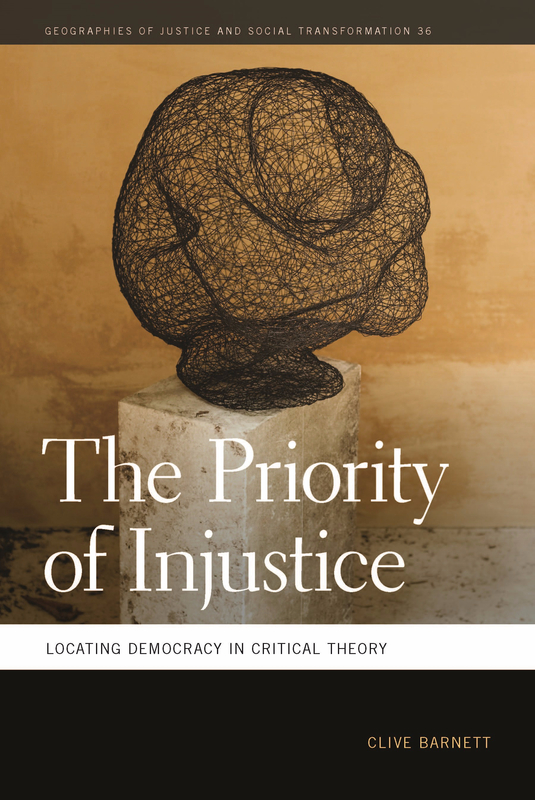 On this page you can find information, including links to various blog posts, about my book, The Priority of Injustice: Locating Democracy in Critical Theory. You can find out more about ordering the book here. You can buy a copy direct from the University of Georgia Press by visiting my book’s page on the website and clicking the ‘buy’ link. A further elaboration of the relevance of the book, for those in GeographyLand in particular, is available here: Geography and the priority of injustice in the Annals of the Association of American Geographers. Geography and the priority of injustice, Geography, UCL, 1st November, 2018. Author Meets Critics Session, RGS-IBG Annual Conference, Cardiff, 29th August 2018. Author Meets Critics Session, AAG Annual Meeting, New Orleans, April 12th 2018. Geography and the priority of injustice, School of Geography and Planning, Cardiff University, 4th December, 2017. Stephen Przybylinski review in Annals of AAG Review of Books. What the Book is About, No. 5. What the Book is About, No. 4. What the Book is About, No. 3. What the Book is About, No. 2. Author Meets Critics at AAG. What the Book is About, No.1. Geography and the priority of injustice. Towards a geography of injustice. Situating injustice in the geographies of democracy.